This year’s LockCon theme is: the winner takes it all. That is right, after experimenting with knock-out systems in the games last year at the HAR conference, we will now expand this and let the knock-out system play an important role in the competitions at LockCon. We are real curious to see how this will work out in the lockpick competition. People are requested to arrive between 11:30 and 12:30 at the hostel. Toool representatives will be present at the hostel from 11:00 AM on to greet the guests and assign them a room. It is important to be on time as the first presentations begins at 13:30! 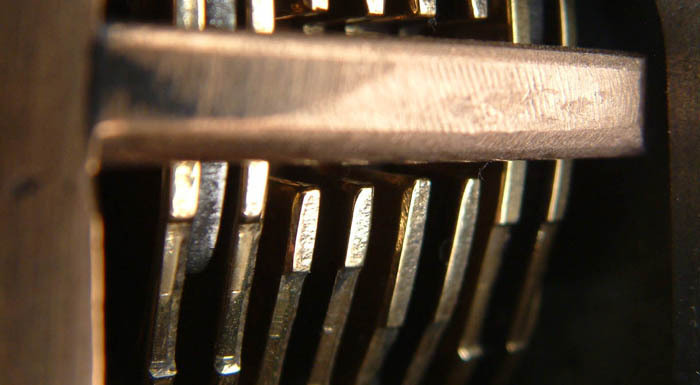 Datagram is a well known expert in the field of forensic locksmithing. 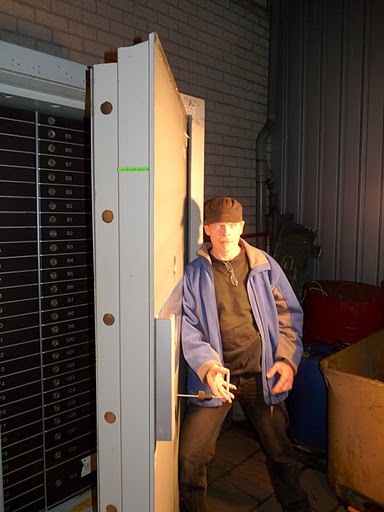 His site http://www.lockpickingforensics.com/ is a one of a kind source on this topic. And we are very honored to have Datagram open lockcon with his presentation on advanced forensic locksmithing. At this two hour presentation, Datagram will quickly go from the basics in forensic locksmithing to the more advanced stuff. He will go into detail on what traces are left in high-security locks when opening attempts are made with special decoder and picktools. 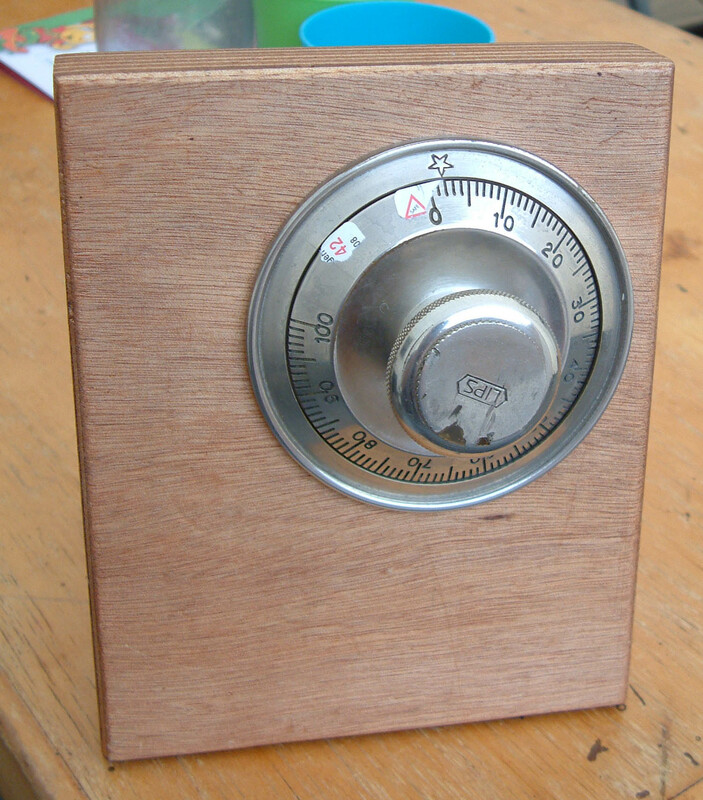 And on Sunday Datagram will talk about the vulnerability in a lock many people thought to be ‘pick proof’. Han makes friends all over the globe, and one of these friends is Mr. Frank Peter Wiersma. Back in 1986, when there were only a handful of television stations, Mr. Wiersma became a small celebrity in the locksmith community. He appeared on the popular show ‘wanna bet ?! 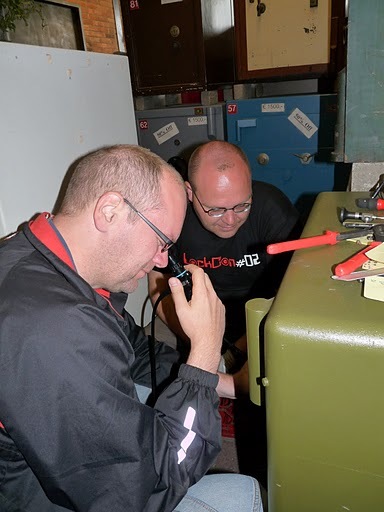 ?’, and accepted the challenge to try and file a working key to a lock in under three minutes (without trying the key in the lock!). His only tools: some files, one blank key, and just the ‘code number’ of a randomly chosen lock. In this presentation Han will give answers to questions like: did Mr. Wiersma succeed? What was his plan of attack? And just in case Han does not have the answers to all the questions … Mr. Wiersma is a guest of honor at lockcon and will be present too. Medeco lately introduced special pins in the commercial product line to make their locks more resistant against picking and decoding attacks. And rumor has there are even more advanced pins in locks that are used in locations ‘that really matter’. These later pins are supposedly called “ARX” (stands for: Attack Resistance Xtended). What do we know about them? Do we know what these pins look like? How many different types are there? And do they really offer extra resistance against sophisticated attacks? This presentation does not have all the answers, but hopefully will give you some new insights. And a note to the public: If you have any information on ARX pins (pinning kit, individual pins, images, suggestions) please mail arx@blackbag.toool.nl. 19:00 and later: time to socialize, give a ‘last minute’ presentation or compete in the combination lock manipulation competition. 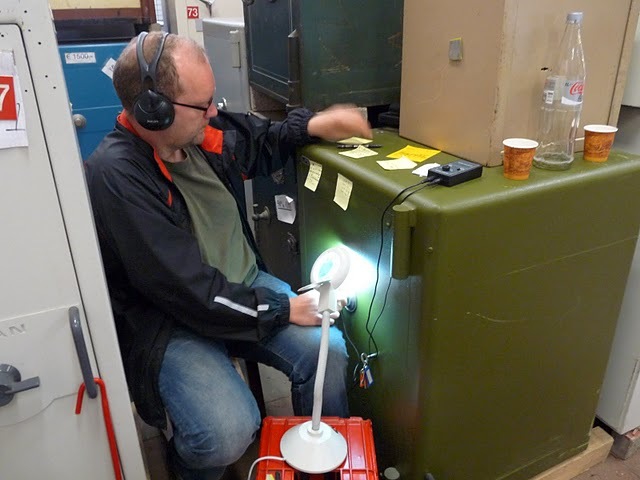 As many LockCon attendees know, Peter Field has an extraordinary way of looking at locks. Like a pathologist, he cuts locks in many thin slices and captures the result with high quality photography. This unique methods of creating a cutaway view is world renowned. His lectures have been attended by locksmiths, security personnel, lock company engineers and Patent Office Examiners from many countries. And this will be the third time Mr. Field will give a presentation at LockCon. Peter Field’s presentations on locks is one of these things in life one can never get enough of. He will yet again give a four hour(!) presentation about many of the different elements of high security cylinder lock design. Combining his unique cut-away imagery with illustrations from old patents, he will explain how engineers classify the cylinder elements, modify them, develop new ones, and re-combine them all to invent new products for the constantly evolving security market. You will leave this presentation with an outline and a clear understanding of the design constraints and functions of most of the various elements you may find in any lock cylinder. About Peter Field: he started locksmithing in 1960, and in 1978 was asked to join Medeco Security Locks, where he is now Director of Research. He has over 15 US Patents pertaining to high security locks, with several more patents pending. 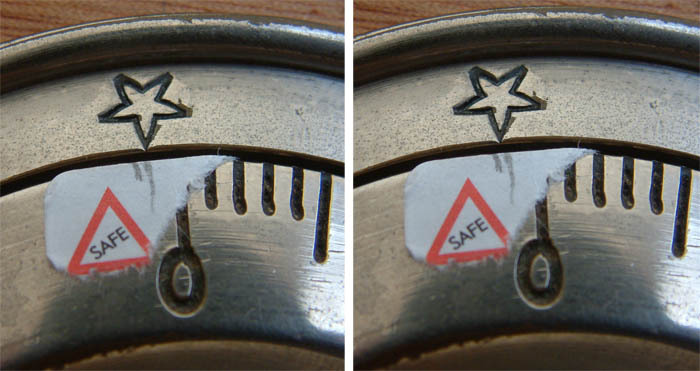 Being a employee of Medeco one thing is clear: Mr. Field will not discuss any opening techniques. As he told us in previous years: “I am here to talk about locks. How to open them is up to you ….”. Julian Hardt found a vulnerability in a number of certified (and non-certified) safe locks. Due to this vulnerability, the amount of possible keys one normally should have to try (the so called ‘key space’) can be greatly reduced. In some cases the key-space goes down from 280.000 keys to a number small enough that it might be possible to just cut the few remaining keys (or build a set-up key) and open the safe with just a handful of keys. In our community it is common to report these kind of vulnerabilities to the manufacturer(s). And that is exactly what Julian did. Thing is: they just have not responded yet …. maybe this announcement helps. This year, Till will present an old but very nice opening-tool. It is a tool to open Cromer Novum alarmlocks. 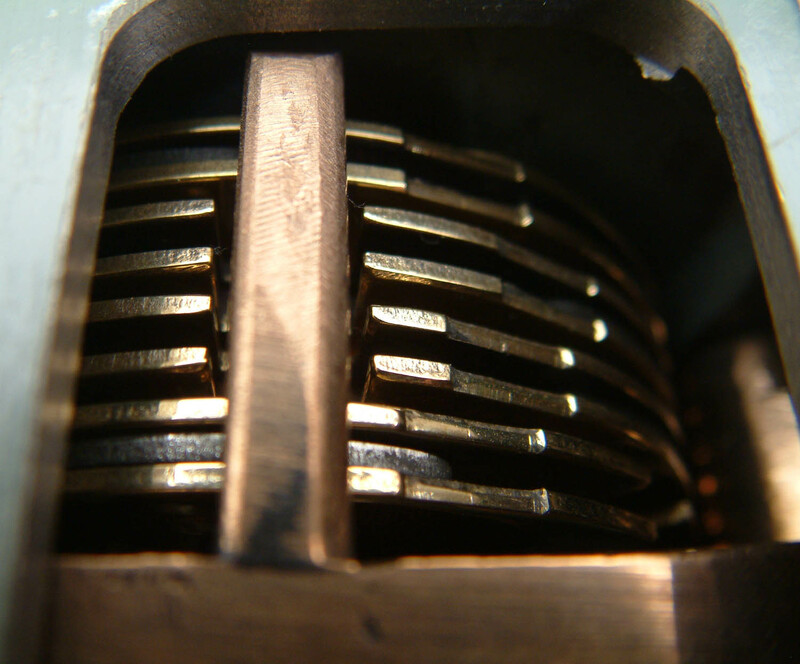 And even though these kind of locks are not very common anymore, it is definitely worth showing the tool. The nice thing about this tool is that it makes use of pin and cam technology to decode the lock. Once the levers in the lock are identified, a set up key can be build to actually open the lock. Old but fascinating technology to open what was once a high security lever lock (and probably still is high security if you do not have the proper tool to bypass it). If you ask nicely, Till might let you try the decoder yourself. 20:00 – 23:00 Impressioning championships. 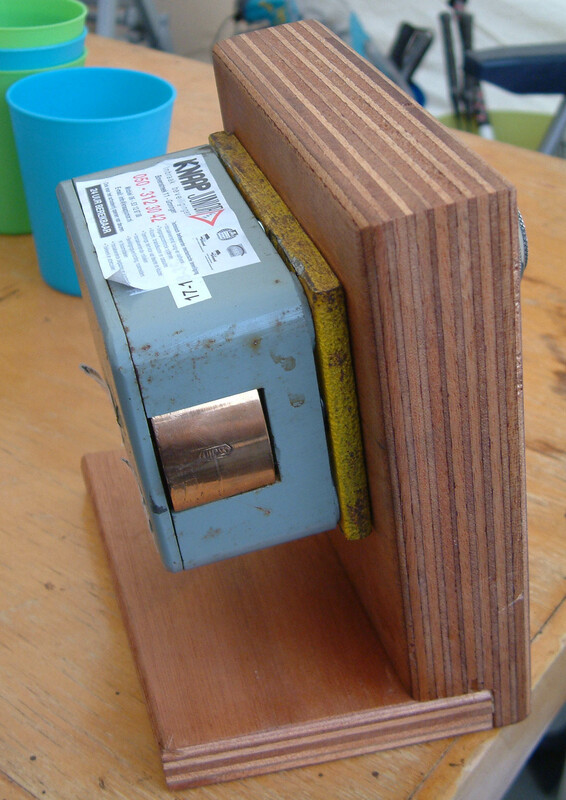 Impressioning is the fine art of opening a lock by filing a key from a blank. It is an ancient technique that still works on an amazing number of (high security) locks. Besides an old-school locksmith skill it is a technique still in use today by intelligence agencies worldwide for their blackbag operational needs. The championships speak for themselves: who will be the fastest filing a working key to a lock his year? The impressioning championships will be played by new rules too (very close to German rules). More about that soon, but we can already say that only “standard Abus five pin locks” will be used. In this presentation Datagram will tackle a lock many people in our community thought was ‘pick proof’. BiLock products are well known for their double sidebar locks and two rows of ‘hard to pick’ pins. In the industry they are considered one of the most high security locks. In this presentation you will hear all the details on how the lock works, how the attack was discovered, what tools were made and how the company responded when they were informed ‘there might be a small problem’. The latest Mul-T-Lock product range is the MT5-line. The MT5 is a high security cylinder that makes use of two security layers: an interactive element (the so called Alpha spring) and pin-in-pin technology. The top of the line product currently is however the MT5+. At the “+” series, an extra layer is added to the lock: a clever mechanism that uses sliders and a sidebar. In this attack we will focus on this new slider mechanism. Jord Knaap found a gap that in some cases can be used to bypass the slider mechanism and did the right thing: he informed Mul-T-Lock about it. And now, after they have been given time to fix the problem, you will hear about it at LockCon. 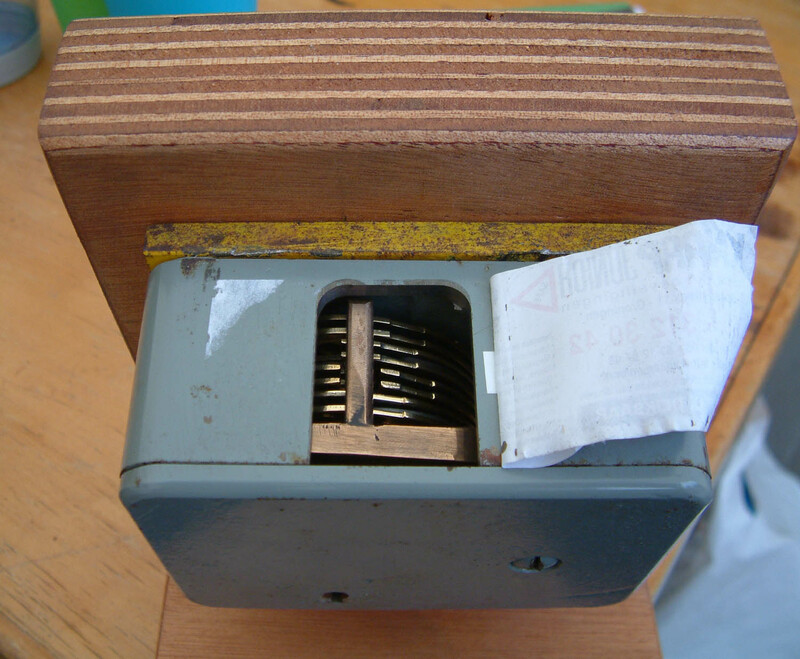 13:30 – 15:30 Dutch Open lockpick championships. We are going to play one-on-one, and ‘winner takes all’. In these games two people will be playing against each other, and the one with the most locks opened, or the fastest time if the same amount of locks are opened, will go trough to the next round. 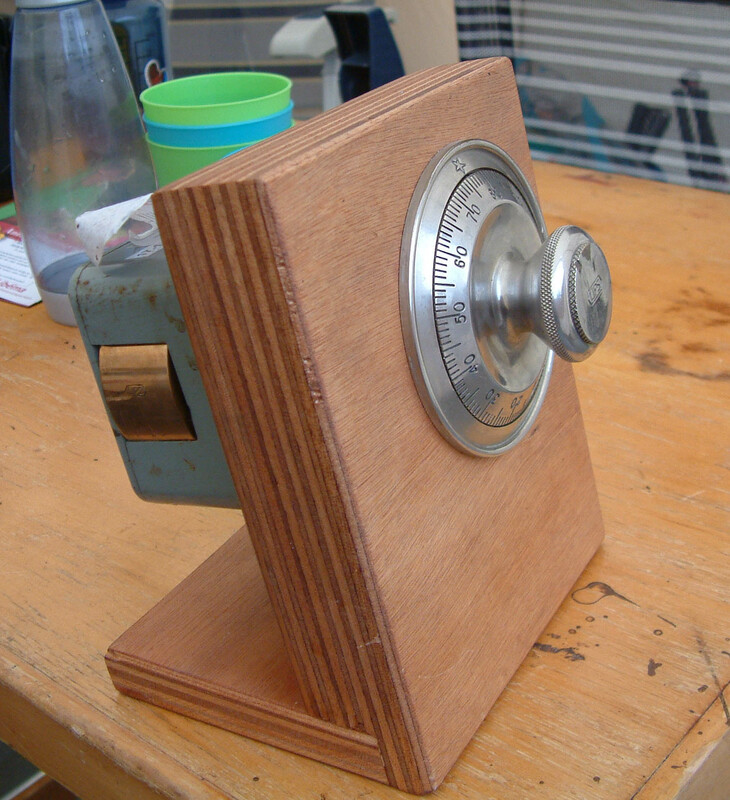 If the two contestants do not manage to open any of the locks they are both out of the game. In case we have an odd number of contestants, there will be three people competing against each other and the fastest two go trough. The last man standing wins! There always is question about the selection of locks that will be used in the game. The brands will be kept secret, but we will try to arrange just two types of locks and make sure one of these locks is ‘relatively simple’ to open by an experienced picker. The locks used will be ‘standard’ five or six pin locks (so no dimple locks or special high security locks in the finals). More information on how to register for LockCon2010 can be found here. It has been a little slow with my weblog. Maybe it’s because I now use twitter to burst short messages instead of blogging, but the silence here does not mean nothing is happening. On the contrary, a lot is happening…. First there was the safe opening weekend. I am sorry to be repetitive, but the weekend was a great success. Julian picked open four safes, amongst them yet another couple of real monsters , and lots and lots of other safes were opened in more destructive ways. I really was eager to try to open a safe by manipulating a combination lock, but failed as the only lock around was a four wheel lips lock. I am by now reasonably experienced in opening three wheel ‘group two’ locks, but this four wheel lips lock was just a little too much for me. 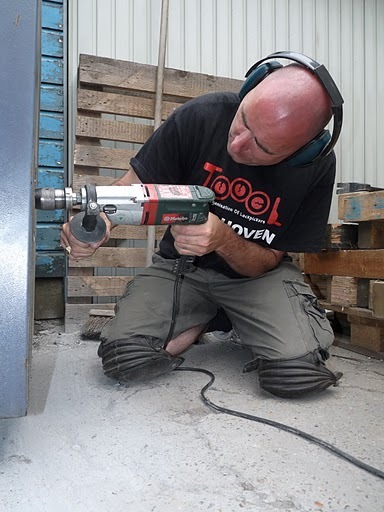 We ended up drilling a hole in the safe and using a scope to read the combination.